Rupee dived to a fresh low of 73.77 today, and with Brent at a four-year high, whispers about an encore of the 2013 taper tantrum are getting louder. The RBI yesterday announced the "liberalisation" of the External Commercial Borrowings (ECB) policy in a bid to improve dollar supply. The move comes against the backdrop of the rupee's incessant slide against the dollar. The local currency dived to a fresh low of 73.77 today, and with Brent at a four-year high, whispers about an encore of the 2013 taper tantrum are getting louder. Under the RBI's new norms, state-owned oil marketing companies (OMCs) will now be allowed to raise $10 billion from the overseas market to meet their working capital needs. The earlier individual limit of $750 million or equivalent and mandatory hedging requirements as per the ECB framework have been waived. The apex bank further stated that the OMCs can raise the ECBs from all recognised lenders under the automatic route for 3-5 years. In other words, the process can start immediately without waiting for permissions and/or clearances. However, the latest move falls short of the market expectation that the central bank would sell dollars directly to oil companies, and will not result in an immediate inflow of dollars, The Times of India reports. It will nonetheless help preserve the RBI's reserves and bring in more forex when oil companies start borrowing. The dollar has nearly gained Rs 10 over the rupee this year, the highest since the Rs 15 appreciation following the taper tantrums - a term coined to describe market volatility following the US Fed's announcement in 2013 that it would reduce its bond-buying programme. A spike in Treasury yields following upbeat US data and the hawkish stance of the US Federal Reserve have further strengthened the dollar. Much will now depend on the outcome of the ongoing Monetary Policy Committee's (MPC) meet. The pundits are all predicting a 25 basis points hike in the repo rate - the third this year - to be announced tomorrow, in part due to the weak rupee. 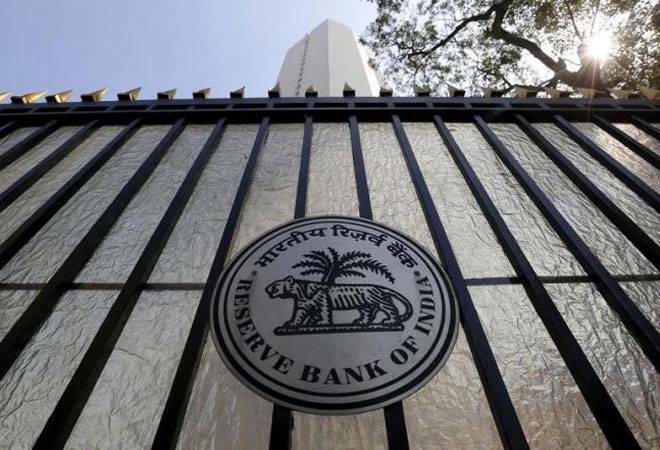 "With the rupee's slide, there would be the impact of imported inflation," Madan Sabnavis, chief economist at Care Rating, told the daily, adding that the RBI might ease liquidity by releasing some of the bank deposits that are currently impounded with it through its cash reserve ratio (CRR) prescription. Significantly, while the newly-allowed unhedged borrowing will reduce the cost of funds for OMCs if the rupee remains steady, those opting for unhedged borrowings could see repayments surge if the rupee continues to slide. According to foreign exchange dealers, plugging the incessant demand for dollars by oil companies is key to stabilizing the rupee. Some importers hold back if there are signs that the rupee might stabilize. The demand from oil companies, however, is constant. That's because India is not only the world's third largest oil consumer, but also heavily dependent on oil imports.